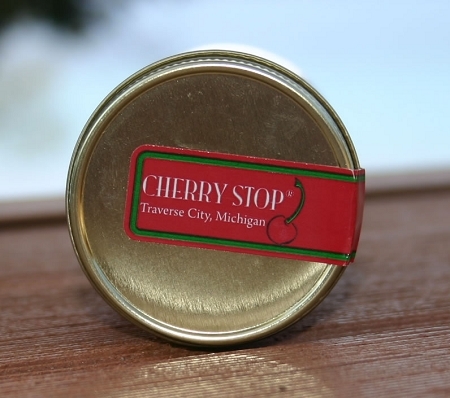 Our signature cherry jam made from premium Northern Michigan cherries. Peanut butters love this jam, so does toast. Truly, Northern Michigan in a jar. Jam is much more versatile than just on toast, try it over brie, pairs great with many meats, like turkey and pork. Bake some cherry jam into your favorite brownie recipe. 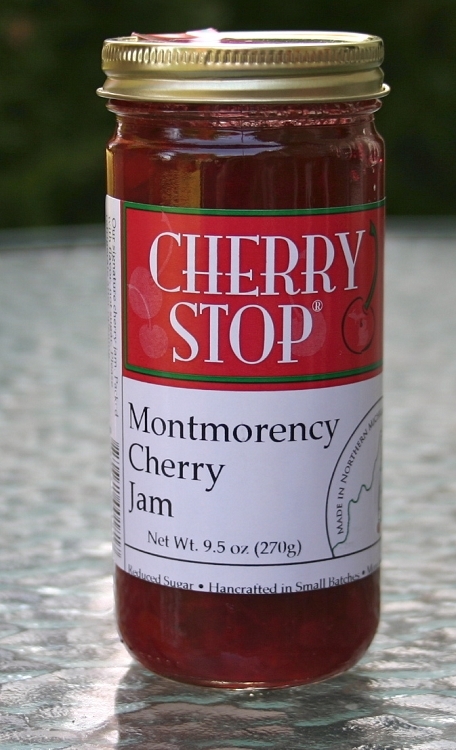 Montmorency, tart cherries never tasted so good. 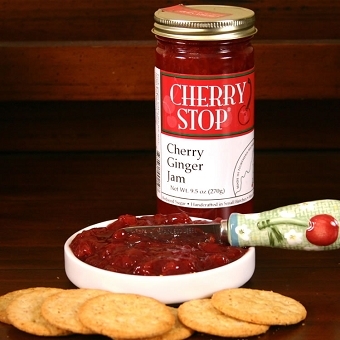 Our jam has reduced sugar, which allows the flavor of the cherries to really shine through. 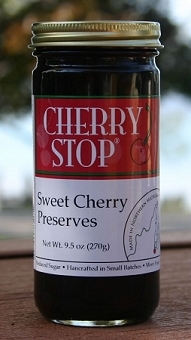 Ingredients: tart cherries*, sugar, pectin. *May contain an occasional pit. What's for breakfast? Not the same ole. Try some French Toast with this on top. Wow, nothing compares. We bought a jar of this jam on a recent trip to Traverse City. 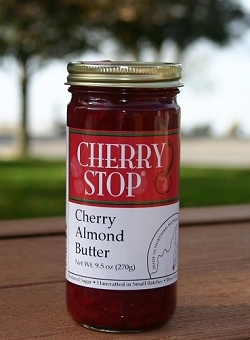 This is absolutely the best cherry jam I've ever had ... and I'm a lover of cherries. It's not as sweet as most cherry jams, so it lets some of the natural tartness of the cherries come through. Once we use up what we have, I'm definitely ordering more on-line.